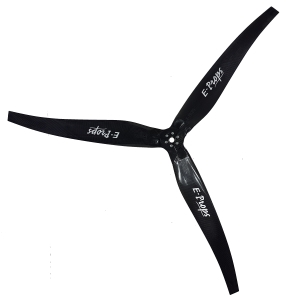 The E-PROPS are the world's lightest, strongest and quiestest propellers, and they also give the best efficiency. 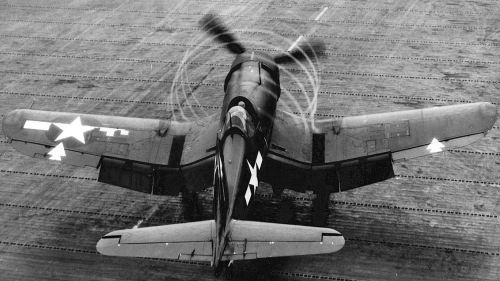 The E-PROPS propellers are very different from the other propellers. 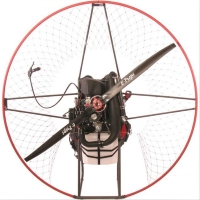 They have special profiles, patented designs (for example SCIMITAR), and special position of the blades to reduce the blades drag, so to obtain the best thrust. 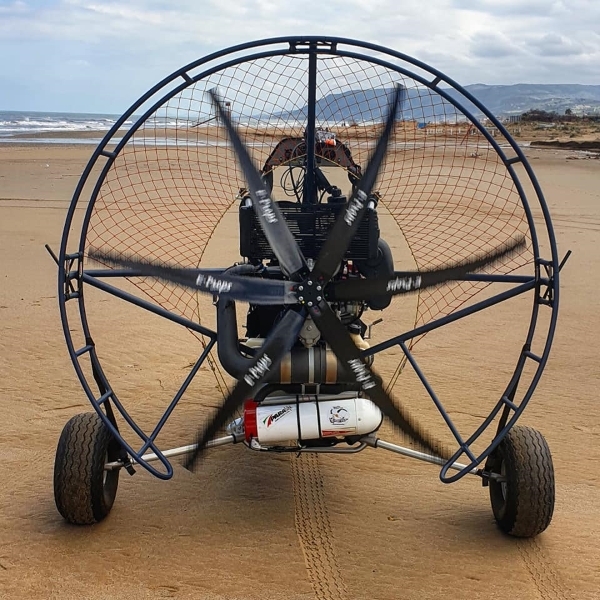 The E-PROPS team has developed thousands of different models (2-, 3-, 4-, 6-blades), for all engines and reducers, with diameters from 115 to 160 cm, with pitch every 0,5°, and in both rotation senses (CW and CCW). The E-PROPS design department consists of 6 technicians and engineers. The head of this department is Jérémie Buiatti, who designs propellers since 2006 and has implemented the internal software LmPTR©. 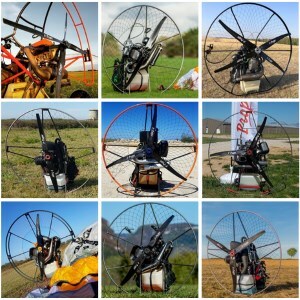 For a paramotor use (it means low speed), for the same diameter, more blades = more efficiency. More thrust is obtained with a propeller with a diameter of 150 cm than with a propeller with a diameter of 125 cm. 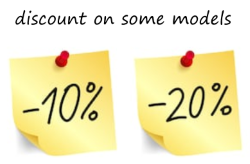 All sets of engines - reducers can not be equiped with big diameters propellers.